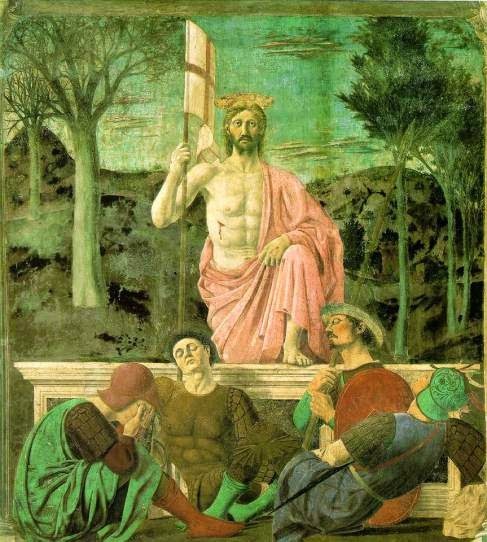 Inspired by recent interest in Piero della Francesca and two memorable exhibits—at the Metropolitan Museum of Art (2014) and the Frick (2013)—here are two interpretations of the Renaissance painter’s “The Resurrection.” Each very different, each masterful. paralysed as if in dreams, for his spring. Through the streets of Borgo San Sepolcro. Smolder behind him, setting a broken wall on fire. And carry you where you would not go. Only picture-shadowing earth from the Black Sea. But the pinhole he had peered through closed. 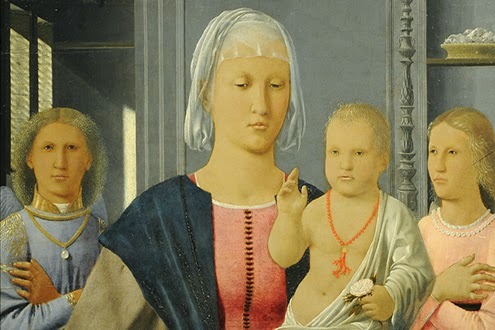 Before the distant prospect of Rome-Jerusalem-Urbino. Poet Mathieu Cailler's "Days in Oil"